Last time you were told to stay classy in San Diego. This time you’ll be exposed to the Big Apple, and you’ll never forget it. Adam McKay’s Anchorman 2: The Legend Continues serves as the exception when it comes to skepticism involving sequels. With sequels there’s always the risk of repeating too much of the original, and not progressing enough to entice the audience for the entire 120 minute run-time. Anchorman 2 finds that perfect balance without being tagged as a lackluster franchise. The film starts off with Ron Burgundy (Will Ferrell) and Veronica Corningstone (Christina Applegate) married and tag-teaming the news reporting in none other than, New York City. When opportunity knocks for Veronica to take over the position of lead news anchor for the primetime news, and Ron to be immediately fired, conflict arises between the two and they split. Six months later, we find Ron broke down, drunk, and a Sea World event announcer. Cue, Garth Holliday (Chris Parnell) who proposes Ron and his dysfunctional legendary news-casting team come to New York to join Global News Network. The first attempt at a 24-hour news network. The story takes off in a blaze of humor and memorable performances. A story that is rich in surprising plot points as well as unforgettable improv acting. Improv is what this group of actors loves, and they execute it so well. This proves to be the film’s niche, as only natural dialogue will provide humor that an audience can organically respond to with hoards of surprise-filled laughter. McKay and Ferrell brought back some of the iconic bits from the original Anchorman, but twisted them to where they appear original, yet reminiscent of the first one. These two are masters of their own craft in which their films are still quotable ten years after their release. Thus, is the case in this installment. As much as can be said of the effectiveness of the improv performed here by the ensemble, there were key performances that will surprise the audience. Both Steve Carell and Kristen Wiig’s careers have exploded since the original, and they bring an awkward, yet hilarious chemistry that fill the audience with laughs anytime they interact. There is an exceptional supporting cast as well in the spirits of Greg Kinnear, Meagan Good, and James Marsden. The ensemble in this film is one to be admired. The cohesiveness that binds all these characters together can best be described as a natural humor. Yes, the film is a satire on news reporting, but the well-paced antics and timely jokes give way to memorable quotes that make these films timeless. Adam McKay and Will Ferrell are the writers and creators of the Anchorman saga. The tandem that these two have formed has birthed consistent originality. The films these two make can only result in laughs, originality, and memorability. Of course they will make money, there’s no doubt about that. One can tell that these two just love making movies, and the audience will get their money’s worth as they witness, yet another comedic masterpiece unfold. Bring everyone of all ages out to Anchorman 2: The Legend Continues, and they’ll quote it for a lifetime. Stay classy moviegoers. 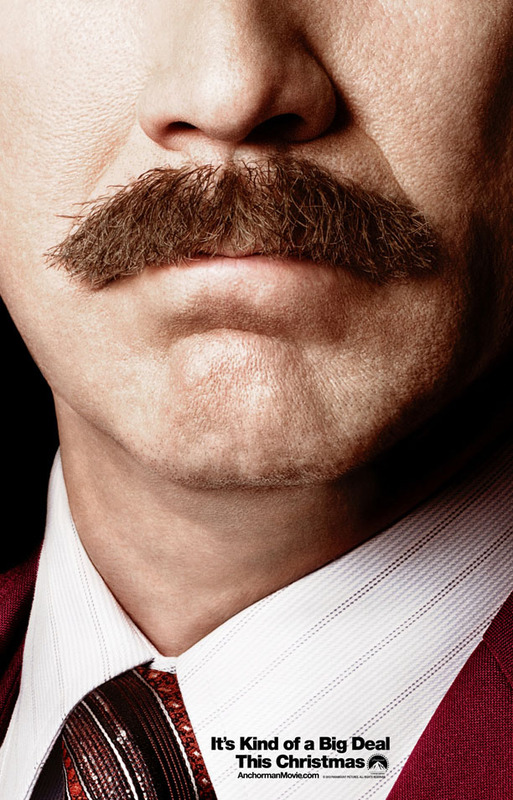 Anchorman 2: The Legend Continues opens today in Philly area theaters. Kyle Harter recently relocated to Philadelphia after receiving his BA in Film from the University of Central Florida. Kyle aspires to a career of filmmaking, writing, and adventure. Kyle has a mild obsession with Quentin Tarantino, coffee, and Corgis. He co-authors the film blog, The Main Squeeze. Sadly they played the dumb card the entire movie. Only funny parts were raciest. They couldn’t make up their mind on what they wanted to do with this movie and brought in elements from the first that shouldn’t have been touched. Sorry this was a waste of time and money. The first movie will forever live in glory but this one will pass away. If you loved the fist movie I would recommend waiting for DVD or just pass this one.